Question of the day: How many ways can you find out that the different angles match to 180 degree? 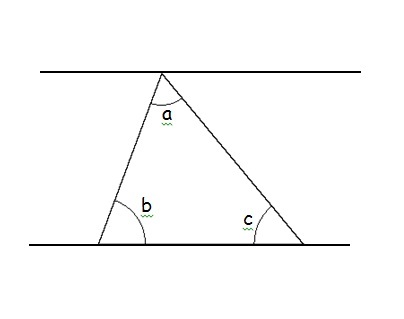 When I was posted this question by Dr Yeap, the only thing that came to my mind was "By using protractor". I couldn't thought of any other ways to measure the different angles. However, 30 brains are better than 1 brain. The class started brainstorming different ways to find out the answer. 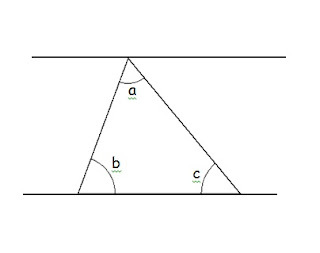 Tear out all the angles and put it together in a straight line (Because a straight line represent 180 degree). Identifying alternate angles on parallel lines. The approaches that the class identified can be classified under the CPA approach. Challenge of the Day: Try identifying which method is using the concrete approach and which method is using the abstract approach.